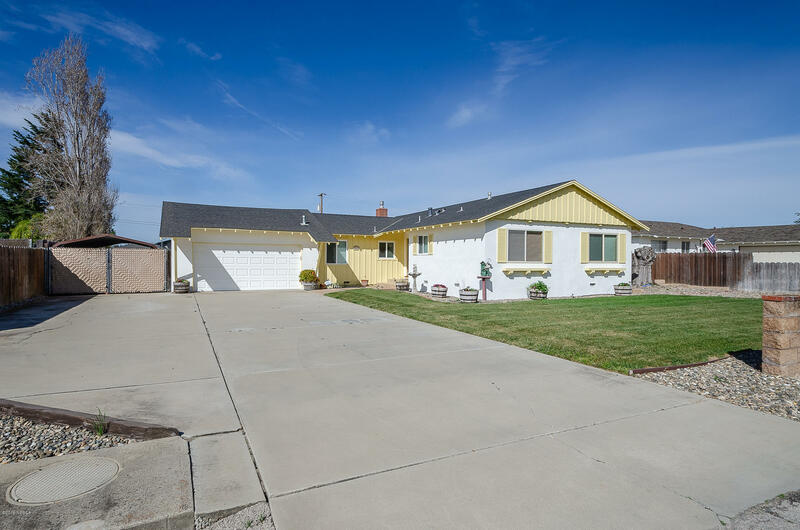 OPEN HOUSE, Sunday April 28th, 1:00-3:00pm. Come On By! Charming Country-Style Orcutt Home With Beautiful Wood And Brick Interior Detail. Single-Story, 3 Bdrms, 1.5 Baths, Approx. 1,766 Sq. Ft., 1-2 Car Garage & RV, On An Approx. .34 Acre Lot In The Distinguished Orcutt School District. Property Features Include; Comfortable Living Room With Attractive Newer Carpet, Brick Fireplace And Custom Brick/Wood Entry That Steps Down Into Spacious Back Family Room With Larger Master Brick Fireplace, Newer Carpet, Large Back Yard-View Windows And Built-In Brick Wet Bar. Lovely Country-Style Kitchen With Beautiful Wood-Style Cabinetry, Buffet, Breakfast Bar, 5-Burner Gas Cooktop Stove/Oven, Nice Corian-Style Counter Tops, Handsome Wood-Style Floor And Separate Dining Area With Bay Window. Directions to Property: From Lakeview Rd., take Miles Ave to Hadley Way. Information last updated on 2019-04-25 19:42:55.